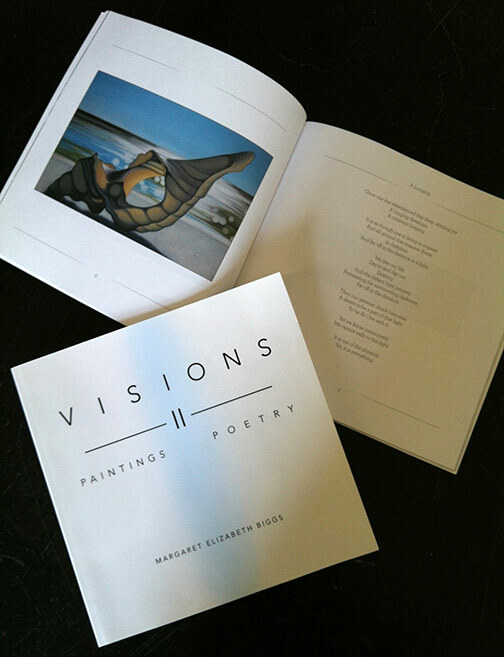 “In Visions:Through Paintings and Poetry, Margaret Elizabeth Biggs has brought together a vivid collection of her artwork and poetry, opening the reader to the deeper spiritual inspirations that motivate her work. Her paintings are a visual feast in themselves expressing the fluid nature of reality, and through her poetry we come to realize this fluidity is infused with spirit. Together, they express and document her continued journey of personal growth and spiritual awakening. For those new to her work, I can’t think of a better introduction-and for those already familiar-this collection allows you to come to know the artist in a much more intimate and profound way.” Michael Brant DeMaria, Ph.D. Psychologist, Author, Speaker, and Four-Time Grammy nominated Recording Artist. 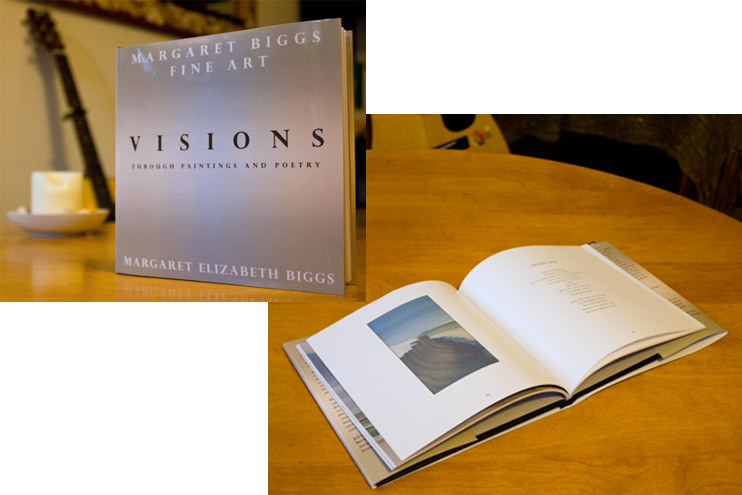 This 7×7″ hardcover gift book features 18 poems by the artist as well as 26 color photographs of her original art. “There is a beauty in your words that tells the reader that your faith has been an important part of dealing with the pain in your ongoing road to healing – which is not really a destination, as much as a lifelong journey. While one person very close to me has leaned on their faith in God during their journey, another special friend is still trying to discover exactly who God is and how His grace can heal her broken heart and spirit. Your journey, described through your poetry, is going to be so soothing and encouraging to her. I genuinely feel that she will find peace in your words."